Jan 2013 … It is with great sadness that we announce the death of David Dalzell, founder and managing director of ONELAN Ltd, following a long battle with cancer. David established ONELAN in 1988 and the company has focused on digital signage and IPTV for the last twelve years. He led the company from its humble beginnings in his garage, to the expanding organisation it is now, with a turnover in excess of £5M and employing over 40 staff worldwide. 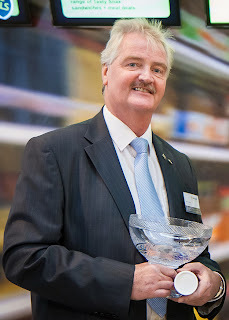 He was particularly proud of ONELAN winning not one, but two Queen’s Awards for Enterprise; one for Innovation, the other for International Trade – over half of ONELAN’s revenues are from export sales. A series of industry awards and continued growth bear testament to David’s vision and drive.